I’m not always right (I thought publishers would embrace Amazon adding text-to-speech to the Kindle 2, since it means people get through books more quickly and will buy more…quite wrong there), but I have gotten a few good predictions in over the years. Did Pew just find that nearly twice as many paperbooks are read as e-books? but I wasn’t seeing much speculation along this line before I said it. available for pre-order for October 20th. It also comes in black. The white is new, and can be a good option for some rooms, like many kitchens. The Dot is the version of Amazon’s Echo without a big speaker. It doesn’t have a tinny speaker, which is fine for voice, but it will sound scratchy on music. Still, I use a Dot every day…we have one in the bedroom, and for one thing, it turns our lights on and off. It also gives me weather reports, tells me what’s on my calendar, and so on. They’ve reduced the price to $49.99. You can also buy six for the price of five or 12 for the price of 10 (which is the same either way). That way, you could have one in each room…or give them as gifts. which was a gift from our now adult kid. I have it in the bathroom, and I like the interface a lot. Pairing it was easy and now, I just turned it on and in a second or two, the sound from my Dot is coming through it…even if I do that in the middle of a song. The sound is fine…and again, nice that it is waterproof. The price for the speaker right now is $23.99, which is nice! Besides coming in white, it’s a bit shorter, but I suspect there are more hardware changes, even without that many more software features. Also, it comes with a new “ESP” (Echo Spatial Perception) feature…which will also come to the earlier Echoes in the near future. It will enable an Echo to know if you are talking to it, or to another Echo. That’s been a…challenge for us. The Echoes hear really well. When I say something to the one in the bedroom, the one in the family room usually hears me, too. That’s down a pretty long hallway and around a corner. Sometimes one of them hears me correctly and the one doesn’t, but they usually answer in harmony. This is supposed to help with that issue, and to improve over time. There are, by the way, more than 3,000 skills (like apps) available now! That’s up from about 1,000…just since June. One more bit of Alexa news. The Echo is coming to the UK and Germany. These are very popular mysteries, starring a police detective and a medical examiner. They are a disparate pair, and that’s clearly part of the attraction…and what lead to a TV series based on them. I did enjoy the book, and found it well written. Interestingly, though, the main characters were not the ones that made the book work the most for me. In fact, my Significant Other read the book also…and felt the same way. We both had some trouble telling them apart…even though they are supposed to very physically and temperamentally different. I would guess that if I gave most people a selection of quotations from the two characters, they would have difficulty assigning them correctly. There were other characters and situations that were richly done. I wonder if that’s normal in the series…that Rizzoli and Isles are more framing characters than the focus of the plot. Speaking of the plot…I didn’t find the mystery all that difficult. I suspect I was aided in that by having some somewhat esoteric knowledge, but it’s an unusual mystery where I haven’t considered the proper solution…even if it’s only one of several things I’ve considered. In this case, I anticipated a couple of main elements. Regardless, it was still worth reading for me. I liked a series of scenes set in Africa very much. Why don’t people write reviews of Kindle books? Recently, a reader, jubunam, noted that Mockingjay had fewer than 20,000 reviews, and wanted to know why. Back in 2012, it was being reported that 9 million copies of the book had been sold…and it’s continued to sell well since. and presumably, many more people have read it than copies/licenses have been sold. That’s true even with Kindle books (although reviews combine formats…paper and electronic reviews both show up on both). If I “buy the book” from the USA Kindle store (really, I license the reading rights), many people on my account could have read it…and with p-books, it’s been big in the used book market and checked out of public libraries (at least, that would be my assumption). So, I think we can reasonably say that fewer than 1% of people who read Mockingjay posted a review on Amazon. My guess would be that the percentage of readers posting reviews is typically much higher on one with fewer sales, especially indies (independently published books). The question is, why do people write a review? I think there are a few main reasons. One is to support the book. That would seem like the most obvious one…you like the book, you want others to read it, you write a review. There is also the flipside: you want to warn people about what you think is a bad book. You may also want to support the author or the publisher. This might not be the best book from that author/publisher, but you want to promote them more generally. I see this in reviews, “If you want to read a great book by so-and-so, read ‘X’…this is a good book, but not the best.” Similarly, if it’s a publisher with personality, you may want to promote them. People write reviews to support (or oppose) a cause as well. The book is a symbol of something for you, and you take the advantage of the platform to voice your opinion. Reviews may be written to support or oppose something that’s less of a cause, more of a policy…like the price of books, or the lack of the ability to lend a book. Some people just like to write. 😉 Book reviews are one form of expression, and they are one that people see. On Amazon, you can get feedback on your reviews. You can have your review show up as a “most useful” review, for example. There are people who see writing reviews as a kind of fame. People also write reviews so that publishers will send them other books to review. Some reviews are written because people have a financial interest in the book, or otherwise personally gain from the book selling. Those aren’t supposed to happen, and Amazon has gone after people who sell good reviews on Amazon (“For $5, I’ll give your book a 5-star review”). For some people, it becomes a habit. They review every book they read. I think those are probably the main reasons. I’d say the main reason people don’t write reviews is…inertia, basically. It takes an effort to write a review, and if you do nothing, the net result is that you haven’t written one. That’s the default. What do you think? Are there other reasons people write reviews? Do the number of reviews on a book influence you? Why have you or haven’t you written a review? Feel free to tell me and my readers what you think by commenting on this post. However, I think I like another sale they do (more rarely) even better…their sales of hundreds of books for “students”! I put the word “students” in quotation marks, because really, there are books here for a very wide variety of people. I would hope that people are always students, at any stage of life and in any profession. This is a Gold Box Deal: it will only be good for today (although the books may go on sale again some time, of course), and may not apply in your country (I have readers all over the world). What? : Are These the 20 Most Important Questions in Human History–Or Is This a Game of 20 Questions? I bought my Echo through AmazonSmile. When you shop at AmazonSmile, half a percent of your purchase price on eligible items goes to a non-profit you choose. It will feel just like shopping at Amazon: you’ll be using your same account. The one thing for you that is different is that you pick a non-profit the first time you go (which you can change whenever you want)…and the good feeling you’ll get. Shop ’til you help! By the way, it’s been interesting lately to see Amazon remind me to “start at AmazonSmile” if I check a link on the original Amazon site. I do buy from AmazonSmile, but I have a lot of stored links I use to check for things. I’ve had the opportunity to do a hands-on exploration of the new Kindle. Let me start out by saying that this is a considerable improvement over the former $69 Kindle, thanks both to the touch screen and the quality of the display. If what you want is an inexpensive device for reading, this will work well. The background seems lighter and the text seems thicker…that seems odd, because there are more PPI (Pixels Per Inch) on the Paperwhite…they are doing something different to optimize the appearance. The device itself feels light, which is a goal for people. Irrationally, it also makes it feel a bit cheap…it definitely feels like plastic. Another “feel” issue is that it is a tiny bit wider than the previous version, which would take a bit of getting used to, although it is only slightly wider (2mm…a tenth of an inch) and slightly thicker than the Paperwhite. The KP7 is on your left, the Paperwhite on your right. The PW slopes away smoothly. The K7 has a perpendicular edge, and then it slopes. That’s kind of geeky, I know, but the bottom line is that where you are holding it is thicker. It’s not enough for me to be a problem, but I would say it is slightly less comfortable. It looks very similar to the Paperwhite. The menu on the homescreen has the same choices. When you tap the Settings choice, they’ve consolidated the Device Time choice into “Personalize your Kindle”…which makes sense (it didn’t need its own menu choice). Within a book, they’ve changed the order of the menu…but the choices are the same. “Long press” a word in the book, and again, the choices are essentially the same. The choices in the store were a bit different. Tapping the menu there, the K7 doesn’t have a Kindle Unlimited choice (although it’s on the screen), and does have “Recommended for You”, which the Paperwhite doesn’t have. Overall, it’s very much like the Paperwhite 2 in terms of software. I’ve liked my PW2 very much, and I think people would like this also. The answer is equally obvious: the light. The built-in light on the Paperwhite is a wonderful thing. It gives me the most comfortable reading experience I’ve ever had, including paper. However, you may just want to have a guest Kindle, or a “spare”, or something more inexpensive for a young reader. Maybe you are working or going somewhere where you will the risk of loss, theft, or damage is high…and you’d rather bring one that’s easier to replace. the K7 does not have sound: no audiobooks, no music, and no text-to-speech. Personally, I’d like to see that as a choice: TTS is a big part of my life (I listen to it typically for hours a week in the car), and I’d be fine with it being done without onboard speakers (just a headphone jack, so I can plug it into the car’s sound system, or listen with headphones at home). 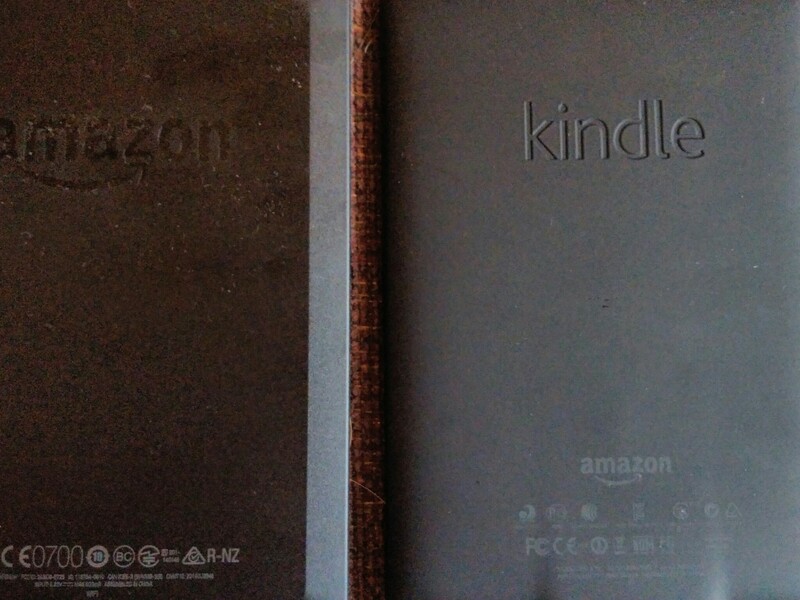 Bottom line: the K7 is a fine basic reader, $40 less than the Kindle Paperwhite 2, and an improvement over the previous “entry level” model. It has up-to-date features in the software. Some people will want to pay more for the light, and others will choose to pay $120 more for the top of the line Voyage. If you have any specific questions about the device, feel free to ask by commenting on this post. I will probably have it for a few more days, while I document a bit more about it. in which I list and talk about the books I currently have downloaded to my Kindles. For more information on this, see that first post linked above. I’m enjoying this one a lot! The author (of the xkcd.com blog) takes bizarre hypothetical questions and explains with solid science as to whether or not they would work or what would happen. For example, if every human on Earth stayed away from all other humans for a couple of weeks, would the common cold die out? Monroe explains why it wouldn’t work…do you know why? Yes, there is math here, but you can gloss over it if you want. Importantly, there is also dry humor and wry cartoons (drawn by Monroe). Amazon has been promoting this book, and it’s been in People Magazine…it’s #57 paid in the Kindle store. That’s exactly the kind of book a lot of people want to see in Kindle Unlimited (which it is). Might also make a good gift. If you want to buy it, I’d suggest you list it at eReaderIQ.com. There may be price wars on this one, and eReaderIQ will send you a free e-mail when it goes down an amount you specify. This is the only one of my books that I generally keep on all my devices…I do use the quotations from time to time when I write, so I like to have it handy. This is one of those I buy so I can read something that connects to work (I like to always be doing that). I have more than one Oz collection (I’m a huge fan), and this is one I like. I’m actually re-reading it on my Paperwhite…planning to go straight through, then start over (I read it before I go to sleep). I’ve never been much of a re-reader, but I wanted to experiment with it. 🙂 I’d really like to know it inside out, which used to be easier for me than it is now. I’ve been writing a few Oz things, and that would help. However, I really don’t read it on this device (my Kindle Fire HDX) right now, so I’ll probably take it off. I haven’t really started this one yet. It was a gift, and I am looking forward to reading it. My Significant Other like Grisham (and other legal novels), and bought this kids’ book by the popular author. I intend to read it at some point. This was a gift. I’ve read this before, and it was great! I wanted to have it on my Fire, as a resource. They are writing new Doc Savage novels, and if I ever did write one some day, that would really be a fantasy for me. Doc is one of my literary heroes. I’m not sure why I have this on my Fire right now…I’ll remove it. I like short stories, so I thought I’d give this one a shot. I’d probably have to restart it…don’t recall much about it. Pilkey (Captain Underpants, Dog Breath) can do hilarious children’s books (we liked Dog Breath a lot in our house). I think I bought this in part because I was testing something in the formatting. In a bit of an Ouroborus, this is a comic book based on a TV show based on a comic book. 🙂 I’ve finished it…I’ll remove it. It stars Frank Gorshin’s version of the Riddler…his manic performance in the first episodes really helped make the show a success. Gorshin was Emmy nominated for the part. The writing isn’t as clever as the series, and they take the advantage of the medium to do more set pieces, but it was worth reading. I’ve heard that this book, from 1917, might be a precedent for Doc Savage (which started in 1933). Looking forward to seeing how it might line up. Tesla’s a remarkable person, and there is a lot of mythology involved. I’m interested in seeing what this book has to say. I’d heard of Wool when Amazon introduced Kindle Worlds. This was a great price for it, and I knew the reviews were good…so I thought I’d try it, and see if I might want to write in that world. I have enjoyed what I’ve read so far, and I’m using it as sort of backup book…one to go to when I’m between things. Howey is now perhaps the most prominent of the pro-Amazon authors in the Hachazon-Amazon dispute (which I call the Hachazon War). Well, I hope you’ve found this listing interesting! It might give you some inspiration for books for yourself or as gifts…and it does give you a bit of insight into me, which I think some of you want. Any comments? Do you like it when I do these? Feel free to let me and my readers know by commenting on this post. No, I’ve never seen the series. 🙂 We don’t have HBO, and while I probably would try it if it eventually became free or “no additional cost” (available through Prime Video, for example), I’m not willing to pay for it. With the Daniel Radcliffe-starring, Alexandre Aja-directed version opening in the USA at Halloween, I was intrigued…and picked this up on sale. I’m looking forward to starting this one, when the timing is right. That’s not like me! I didn’t even realize until now that these were both by the same author. 🙂 I will say, though, as I check the prices, I got some good deals! This one is currently $8.81. Now, though, I’m much more likely to just get something through Kindle Unlimited, so books being on sale won’t tempt me as much. This one was purchased by Significant Other…probably give it a shot when my SO is reading it, so we can talk about it afterwards. I was able to help with this in the pre-publication phase, doing proofreading and making some editorial suggestions. For that reason, I don’t want to say too much about it (although I don’t have any financial connection to the book, and I don’t have a relationship with Derek outside of having read the first book, reviewed it, and then helped with the second gratis). Both books are available through KU. I think that’s enough for this post! One more ought to catch us up. By the way, my SO used KU for the first time….and borrowed a couple of cookbooks and got a couple of recipes…that’s an excellent use of it, in my mind. so I could test something, I happened to stumble across this one. It made sense: it’s a transcription of an interview with the creator (and one of the stars) of Rocky Horror, first as a stage show, then on-screen. I look forward to reading it. This is a case where the publisher will make a lot more money because I borrowed it through KU than if I had bought it, since it is priced at $0.99. The publisher (which could be just the author) would get about $0.35 if I bought it…and while we don’t have the exact figure yet (it’s based on a pool of money which is divided dependent on the number of borrows there are), it is likely to be upwards of $2. Ah, John Keel…it’s a bit hard to describe this writer, and how big the influence of Keel’s books has been (not just on me, but on many people). Keel was the clear inspiration for Carl Kolchak on The Night Stalker, and of Alva Keel in the lamentably short-lived Miracles TV series (at AmazonSmile*). Keel brings this odd synergy of ordinariness in the midst of “high strangeness”. Just as in the Darren McGavin performance, Keel comes across as no superhero, or Sherlock Holmesian genius, yet encounters Mothman and the Men-in-Black (and popularized both). Keel’s greatest book (which became a New York Times bestseller) The Mothman Prophecies (at AmazonSmile*), and several others, are available in the Kindle store…but the classics aren’t available through Kindle Unlimited. This book collects articles by Keel: I suspect I will have read some of them, however, many of the magazines which would have carried Keel were not widely available (even to someone like me who collected a lot of “Forteana”). 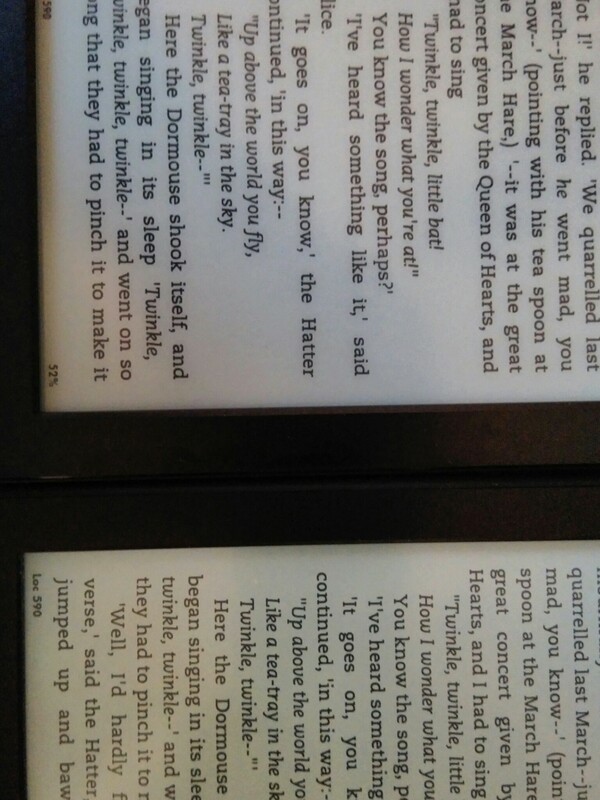 Thanks, e-books! I don’t read many comics nowadays, although I used to read them a lot. I had told you about this freebie when San Diego Comic Con was starting this year, so I assume some of you got it as well. This is one of those books I borrowed to be reading something that ties into work (I actually report that regularly to my boss, as part of “personal/professional development”). It’s not bad: very bite size, and the structure of how to build habits is more significant than the habits themselves…which is important. This is another one I got to read as a “work book”. Haven’t started it yet. The low ratings aren’t encouraging me, but I’ll likely try it eventually. My apologies that this is so late: I know some of you may miss it. On the other hand, that’s always true, since I have readers around the world…even if the deal is good in their countries (which is often not the case), the timezones would cause problems as to when the deal was available. One of today’s Kindle Daily Deals is five Sookie Stackhouse novels (including the first one) for $1.99 each. You can buy as many as you want of the five, paying $1.99 for each one. This is clearly a tie-in to the finale of the True Blood series, which is based on these books (but the story lines really diverged). I would have gotten it out sooner, but my Significant Other is an Insurance Claims Manager, and had to go into the office to deal with the earthquake in Napa, which through off the timing. We live in the San Francisco Bay Area (although not that near Napa), and really felt it this morning, but there wasn’t any damage here. Hopefully, some of you can take advantage of this. These books are not currently available through Kindle Unlimited or the Kindle Owners’ Lending Library. Books on my Kindles is a series of posts where I list what books I currently have on my devices. This listing is quite a bit different from the last one. I was testing something with KU, though, and needed to get to the limit…so I borrowed ten books. I didn’t have to download them all to my Fire, but I think I did. The other big thing, as I mentioned last time, is that this is kind of hard for me to do. I know people judge people by what they read…both in good ways and in bad. This particular grouping (I did not manipulate them before writing the post) leans pretty heavily in the geeky direction. I am a proud geek, but I also mention on here that I’m an eclectic reader. This grouping won’t look much like that: it seems like much of a muchness, as I glance at it at first. Still, as a bit of a random snapshot, I’ll go with what’s here. There are too many to really list in one post, so I’ll take a few to go through them. I borrowed this one Wednesday morning, because a couple of my readers (Allie D., jjhitt) and I have been talking about Harlan Ellison after I recently listed a Kindle Daily Deal with Hugo Award winning and nominated books. There’s a lot of controversy over Ellison’s script (and pre-scripts) for The City on the Edge of Forever, which became an episode of the original Star Trek…and cited by various sources as one of the best. As regular readers know, I’m not fond of vituperation, and Ellison certainly isn’t hesitant about it. Ellison’s version of the events does sound…plausible, for the most part, with appropriate details. The way the author describes it and characterizes other people does make me less sympathetic, though. One interesting point: Ellison (and other sources which can be seen) quote Gene Roddenberry as saying, “He had my Scotty selling drugs…” The script and treatments are in the book, and that’s not it. However, Ellison also says, “Geezus bleeding Kee-rist on a crutch! Scotty doesn’t even appear in the g*ddam script!” (I added the asterisk, even though the author left out the “n”). Perhaps not in the script, but in the first version in the book, there are a few references to the “SCOTTISH ENGINEERING OFFICER”, who participates in a court martial with Kirk, Spock, and “THE MEDIC”. That isn’t in one of the actual script versions, and it isn’t Scotty by name…and, most importantly, that’s not “selling drugs”, but I think it’s not unreasonable for someone to think Scotty was in Ellison’s story based on that. At this point in reading it, I’d say that Ellison wrote well, and not inexpertly for the medium…but the feel is certainly not Star Trek (it lacks the optimism about the future), and the characterizations aren’t on target (although they improve in successive versions which are in the book). I really enjoyed the first one of these! At times, it was a day by day “biography” of the original Star Trek (which is where I got the “other side” view of The City on the Edge of Forever), and quite well done. Again, not really far enough into this one to judge, but I’m enjoying it so far. I really like this book! I’ve always enjoyed Holzer, and have suggested elsewhere someone could do a good TV series based on the original “ghost hunter”. This is kind of an emergency book for me…I go to it from time to time between other books, and maybe on a long drive. I always enjoy it. Another one I just need to review. I was disappointed in this one. I love words, and books about words. I just didn’t find it that engaging. It was also weird to read this: “…it’s hard not to hear the echo of Sly and the Family Stone’s funkadelic song ‘Play that funky music right, boy!…'” Um…I don’t think that’s quite the right lyric, which then makes me doubt the scholarship of the rest of the book. It’s also not the right band, from what I know, but I haven’t checked to see if there was a “cover” by Sly. By the way, do you know why they are called “cover” versions? Originally, it was because radio stations and certainly stores didn’t want to play music by African American artists. So, the songs would be re-recorded by Caucasian American artists…putting a more “marketable” face literally on the cover of the record. It always surprises me a bit that many people don’t seem to know that nowadays, and blithely use the term “cover”. It has changed over time, though, and I can accept that it has a different meaning now. That’s enough for part 1! Not all of the books will get this much coverage (and I wrote the big introduction in this post), so I think I can do this in…two to three more posts, most likely. What do you think? Any comments on these books? Do you enjoy somebody being caustic? I can’t deny having liked Simon Cowell. 😉 Do you want to just list the books on your Kindle (or, say, ten of them)? Feel free to let me and my readers know what you think by commenting on this post. Round up #219: Kids need books, Black Friday deal revealed? Writing about popular culture and treating it as Significant Art can be tricky. In some cases, it appears that the author really isn’t a fan or understands the genre all that well, but rather enjoys applying academic skills to any subject…sort of like trying to figure out how many angels can dance on the head of a pin, without really believing there are angels…or caring about dance. While Teenagers from the Future is almost by necessity uneven (being a collection of essays by different authors), it falls into neither of the above categories. I found it both insightful and entertaining. I read the Legion when it was first published, and haven’t really kept up with its development in subsequent reboots…but I find that it’s generally much more difficult to spoil comics for someone than to spoil a book. They aren’t always about this or that particular plot twist…sometimes, even if you know the plot, it doesn’t affect your enjoyment of it. Well, it’s kind of a bizarre concept, at least the way I knew it…and that’s part of what makes it work. In the future, a group of teenagers, inspired by the adventures of Superboy (Superman when he was a boy) in their distant past, form a club of superheroes (yes, they have super powers…although in some cases, their powers would be normal on their home planets). They then interact with Superboy, through time travel. Okay, that’s strange enough initially…super powered fans and the complexities of time travel. However, the Legion was not your typical comic series. For one thing, they killed off a major character quite quickly. For another, they had a group of reject applicants (the Substitute Legion) with powers that were either pretty useless (one could turn into a statue…not a moving statue, just a statue: another could change the colors of objects), or were dangerously unpredictable (Infectious Lass, for example, who could generate diseases…but not control reliably which ones or who they affected). All of that was obvious to me when I was first reading it. Not so obvious was some of the social commentary. As John G. Hemry writes in this collection in the essay, “Liberating the Future: Women in the Early Legion”, by the 30th Century, women were treated a lot more equally (usually). The Legion was often led by Saturn Girl, and there wasn’t anything considered to be unusual about a woman leading the group (often into combat…and the female Legionnaires fought like the male ones, punching people, when not using their powers). I wonder how much that did influence readers of the comics. I suspect that Legion readers were much more comfortable in the 1960s and 1970s with female bosses (whether the employees were females or males) than the average person. I also enjoyed the “The Legion’s Super-Science” by James Kakalios. It includes an analysis of how the Legion’s “flight rings” might actually work. I don’t think you have to be a Legion fan (there are still many) to enjoy the book…but I do think it would help. 😉 This might be another good gift for a Baby Boomer geek (the Legion started in 1958). Best Buy Black Friday Kindle HD deal? my favorite source for information about sales on Black Friday (the day after Thanksgiving). that it is usually $199.99. Well, I don’t know of any configuration that gets you as high as $199.99 at Amazon.com for the Kindle Fire HD, but that’s the closest. “Doorbusters” like this often disappear quickly and are in limited quantities, so even if this is a nationwide deal, you can’t be sure you’ll get one. at this point only shows deals on Fires, not on other models. That will likely change in the next couple of weeks, though. Amazon may also offer deals: two years ago, they had a big deal on Kindle books on Cyber Monday (the Monday following Black Friday). It’s certainly nostalgic to look at it (it sort of looks like a room of hunting trophies), but what appears to be a Kindle Keyboard has a mouse attached to it! However, while “reading books” (and “school books” as a separate category) were in the questionnaire (I checked), I don’t see them being mentioned in the article or in the summary. I’m sure quite a few of you would have listed that quite high when you were children, as would I. As a kid, I would have ranked books higher than “sweets or chocolate”. We didn’t have game consoles or mobile phones, and perhaps (based on the illustration in the questionnaire), these children are only answering that question around p-books (paperbooks), thinking that if they had a computer and/or a phone, they could still read books. What do you think? Does what we read for entertainment influence our social paradigms? When you were a kid, where would books have ranked among “things you need”? Higher than television, music, or pets? Do kids now think of p-books as something old-fashioned, and a different category than the books they read on their devices? Feel free to tell me and my readers what you think by commenting on this post.